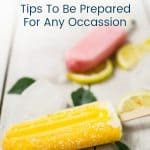 Do you love to have friends over and connect with other families during the warm summer months or maybe you feel a little unprepared or disorganized when you consider hosting a summer social? My extroverted self can’t wait for winter hibernation to end, the nice weather to begin, and to host summer socials! 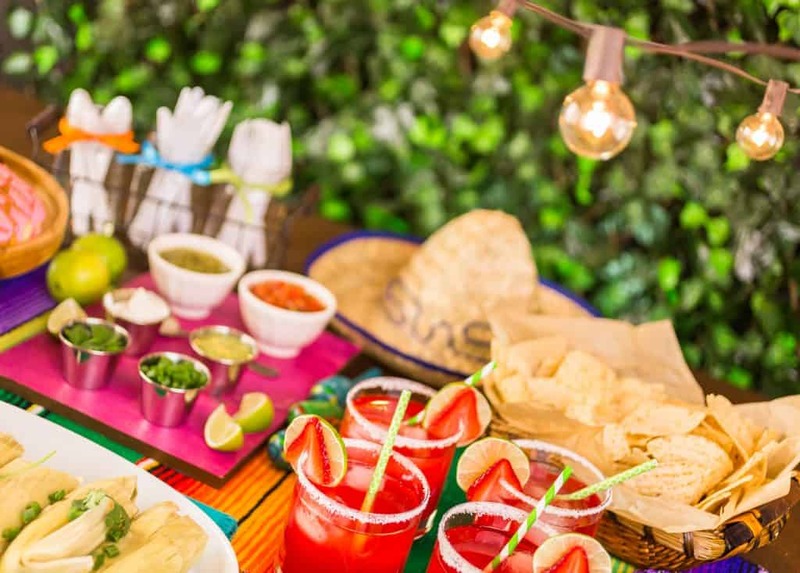 From casual impromptu get-togethers to plan-ahead dinner parties, summer definitely heats up the social calendar! If you love to be social, but planning and organization get in the way check out these tips to get a leg up this social season! So, here’s the good news you don’t have to have everything “together” to invite people over. One thing that’s true about real friends, they really don’t care about your “stuff” and whether it’s together or not!!! 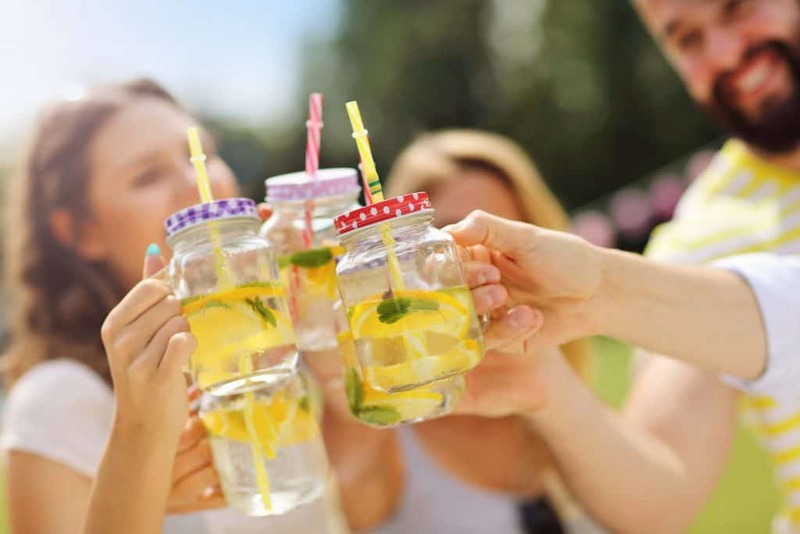 If you’re worried about having a plan, things organized, even food and drinks on hand put those feelings on the backburner and focus on the real purpose of a summer social gathering. The true benefits are the intangible things…catching up with a neighbor, bonding with a friend, having kids laugh and play together. Don’t let the lack of a plan or even the lack of food prohibit you from gathering! If you, my friend, are challenged with planning and organizing, another thing to consider is that not all gatherings need to be a big hoorah! Sure, if you want to do the occasional dinner party, a little more preparation is required. But not all summer socials need to be a dinner party! Many times, impromptu gatherings can be more fun and relaxing than the things you book on your calendar weeks in advance. In the next few sections, we’ll touch base on 3 types of social opportunities for your family this summer. We’ll cover the impromptu, the fuss-free, and the traditional dinner party. As I mentioned before, impromptu gatherings can be some of the best! People often have more relaxed schedules in the summer and are more likely to connect while out and about. If you’re prone to these sorts of summer socials, it can be helpful to have a few things on hand. Things like paper plates and napkins are always helpful. I often buy a whack from Costco at the beginning of summer. They usually have cute ones with brightly colored flowers. If you have a lot of friends with kids, that might pop by, have some kid-friendly snacks on hand like Gold Fish, Cheerios, even the Freezie pops (juice in a plastic wrapping that when frozen kids can push up from the bottom.) These sorts of snacks have a long shelf-life so you can buy early in order to be prepared in advance! For adults you could have coffee, tea, wine, even cold water is welcomed on a warm summer day. Just to underscore, you don’t have to have any of these things. If you find yourself without snacks, don’t let it prevent you from connecting with family friends! The main thing is that you make people feel welcome and take advantage of the opportunity at hand! So, let’s take one more step into formalizing your summer social plans. Fuss Free Hosting involves more than the Impromptu Gathering but less than the Dinner Party. This is great for busy parents that don’t have time to do all of the cooking required to have another family over. With Fuss Free Hosting, the goal is to still get together, likely you’ll even plan the date a little in advance, but you won’t commit to cooking everything yourself. Pizza Party – Have friends over for pizza, pick up pizzas from your local grocery store or order online. You make a salad and desserts and your golden. Pot Luck – If you’re getting together with another family or two, divide and conquer. One family provides the entrée while the other families bring an appy, salad, side, or dessert. Wine & Cheese – Don’t plan on doing a full meal deal! Just put out a few appys or get some wine and cheese. Coffee & Dessert – Have your friends over after they do dinner and just enjoy dessert together. 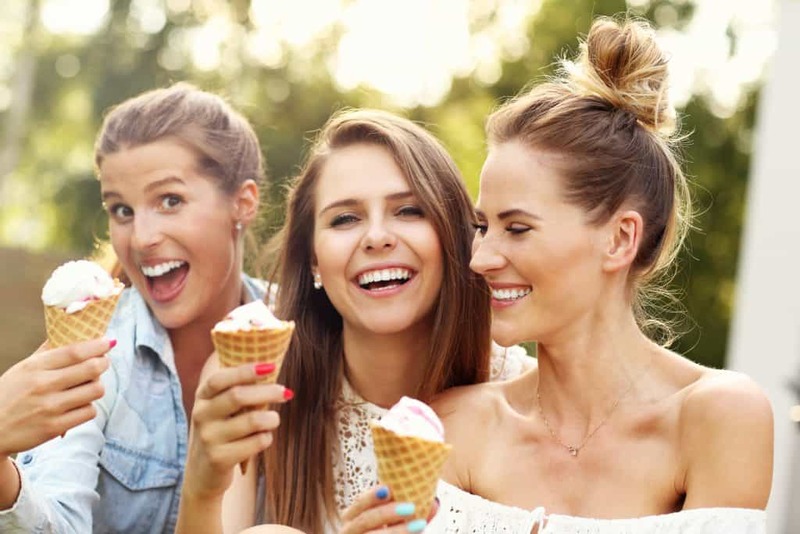 There are so many ways to cut down on the fuss and focus on the goal at hand which is connecting with friends! Ok, so, maybe you are a little intimidated by the full-on dinner party, but you still want to do it, because let’s face it, it’s summer and it’s fun! Here are a few tips to help you plan in advance. 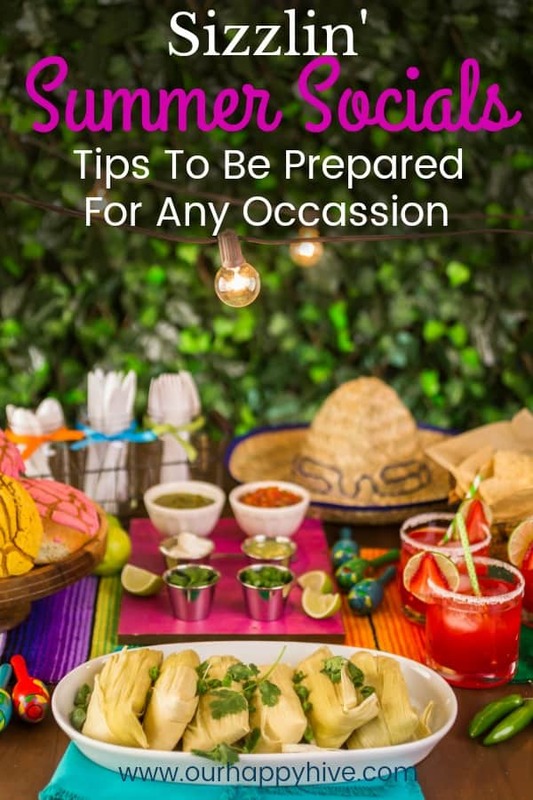 Make sure a few of your menu items can be prepared in advance. For example, if you can do the dessert the day before, it cuts down on any frenzy the day of. Choose some low maintenance items. Maybe you like potato salad from the grocery store or the salad in a bag. You don’t have to home cook every item. If kids are involved, think about what activities they’ll do while the adults talk. Outdoor things are always great in the summer, but you can also put on a movie in a separate room, or put out a few craft supplies on a card table. Don’t stress. This can also translate to don’t aim for perfection! Keep the big picture in mind. While it’s fun to host and treat your friends to a nice meal, you don’t need to prove that you’re the next Martha Stewart. Just enjoy the process and aim for good, not perfect. Summer socials, whether big or small are great for connecting with new and old friends. It’s the perfect time to feed your extrovert and enjoy the warm summer days. Don’t let the preparation (or lack thereof) get in the way. Be comfortable with inviting others to a less than perfect home (if it’s not clean of if you feel unprepared). Take advantage of all types of social gatherings from impromptu gatherings, Fuss-Free Hosting, to full-on dinner parties. While preparation can be a tool, it doesn’t have to be a stumbling block. Carpe Diem! Seize the day!! 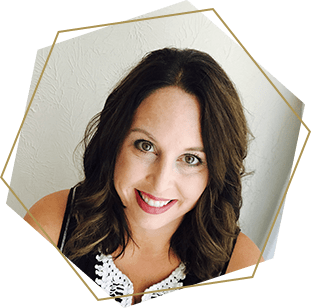 Subscribe to receive an email each day that walks you through a crucial part of the becoming an intentional family in a way that is simple and practical! Success! Now check your email to confirm your email and receive the first email in The 5 Day Intentional Family Challenge! I WANT TO START THE CHALLENGE NOW! Loved this post! I am with you on keeping the staples in the house for impromptu gatherings. Costco supplies are must-haves! Enjoyed this post! I so would like to host more friends and family in the summer months! Thanks for sharing! I love having friends over. While summer seems a weird time to do it, I STILL think having movie nights are fun -even if it has to be indoors. You can easily order pizza or have people bring a snack with them and it’s easy! Also, if you have a pool (or know someone who has a pool), that’s a great place to gather. Great advice for the busy summer. I’m guilty of not being up for this when I feel inadequate. Thanks for this! Great list! My family is always shopping at Cosco!